For the months of February, March and April, Luxury Catamaran Magec is offering a special 15% discount on booking of one week minimum. 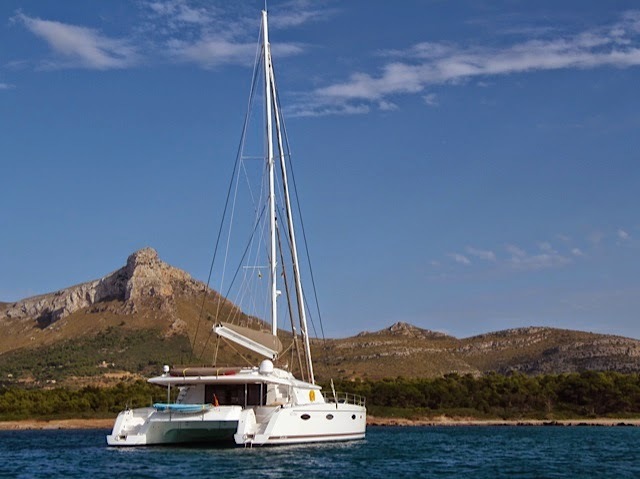 "Elegant and entirely contemporary, this large cruising catamaran represents the excellence of the Fountaine Pajot yard. The Victoria 67 with its considerable size and spaciousness, has enabled us to incorporate a magnificent flybridge. Easily accessed from both sides of the cockpit, this area is inviting while blending perfectly into the elegant lines of this boat"
Fully equipped, we have not forgotten anything for the welfare of your customers !! Offers accommodation in 4 en-suite cabins. 1 Master cabin and 3 Vip Guest suite, all with full air conditioning and private facilities. Full equiped.